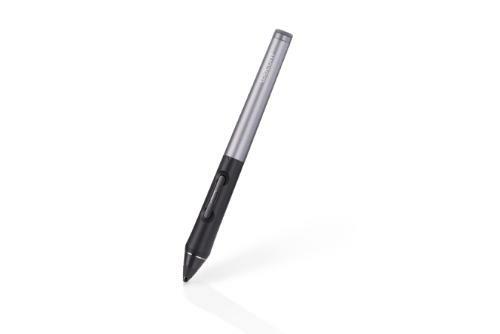 VANCOUVER, WASH., AUG. 19, 2013 — /PRNewswire/ -- Wacom® today introduces the newIntuos® Creative Stylus, a pressure-sensitive digital pen for sketching, drawing and painting on an iPad. It inspires creativity anytime, anywhere through a realistic pen-on-paper feel and an intelligent design so you can rest your palm naturally on the iPad when using compatible creative apps. Offering the best drawing experience on an iPad, the Intuos Creative Stylus allows the ad agency creative to do a quick concept drawing on the train, or the art student to sketch out an idea before class. As iPads are used more and more for developing ideas and experimenting with concepts, the new stylus fills a gap in the marketplace. It works seamlessly with the iPad and a series of creative apps, providing an authentic experience for whenever inspiration strikes. One of the many compatible iPad apps is Wacom's own digital notebook app, Bamboo™ Paper. The new version available now has been optimized for the Creative Stylus and offers great new tools that allow being even more expressive and getting more out of one's creativity. This is also confirmed by Mario Klingemann, code artist and CTO at Psykosoft who developed the innovative Psykopaint application: "The Intuos Creative Stylus enables us to explore a new level of innovative painting techniques on the iPad that we could never achieve with touch alone." 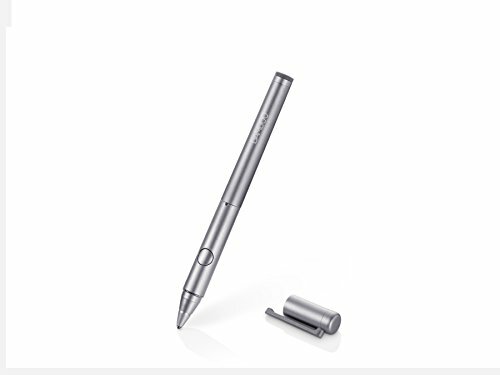 Providing the power to produce professional results on an iPad, the Intuos Creative Stylus's advanced technology comes in form of a best-in-class pen experience and pressure sensitivity of 2048 pressure levels. This means that it can reproduce the feel and artistic control of traditional brushes and markers, so it's ideal for sketching, illustrating and image editing. It is also highly responsive, even reacting to light strokes, while rejecting unintentional touches when used with compatible creative apps that integrate Wacom's industry-leading technology. Bluetooth® 4.0 Smart technology ensures seamless connection to the latest iPad devices. Designed for the iPad 3, 4 and Mini, the Intuos Creative Stylus is compatible with popular creative apps such as Autodesk SketchBook® Pro for iPad®, ArtRage (by Ambient Design), Bamboo™ Paper, ProCreate (by Savage Interactive) and Psykopaint. "It's great to finally see the trusted Wacom Intuos brand enter the creative mobile landscape. We're very excited to announce that ProCreate supports the new Intuos Creative Stylus and we can't wait to see what artists achieve with these two powerful mobile tools," says James Cuda, co-founder of Savage Interactive and developer of ProCreate for iPad. "iPad users are often on the lookout for new and improved tools that can offer an authentic experience," says Hartmut Woerrlein, head of Global Product Management at Wacom. "We've had lots of customer requests for a pen solution that adapts pressure-sensitivity to the iPad, as this is something they're used to when working with our pen tablets. It's also a great thing that Wacom offers an iPad app that is fully compatible with our new Creative Stylus. As the pioneer in pen technology, we've used our extensive experience to develop the Intuos Creative Stylus and we're excited to see what artists achieve with it." Pricing and Availability The Intuos Creative Stylus ($99 USD) will be available at the beginning of October from Best Buy. About Wacom Wacom's vision to bring people and technology closer together through natural interface technologies has made it the world's leading manufacturer of pen tablets, interactive pen displays and digital interface solutions. The advanced technology of Wacom's intuitive input devices has been used to create some of the most exciting digital art, films, special effects, fashions and designs around the world. Wacom products provide business and home users with the ability to explore digital content creation in a comfortable and natural way.